CS-CVS is a CVS client for Windows aimed at both the professional as well as the novice user. With CS-CVS, the complicated setup and resource demanding maintenance of classical CVS clients is virtually gone. CS-CVS is supplied as an add-on to CS-RCS Pro, ComponentSoftware's version control and configuration management solution for software development projects. This solution may be used by Open-Source developers completely free of charge. 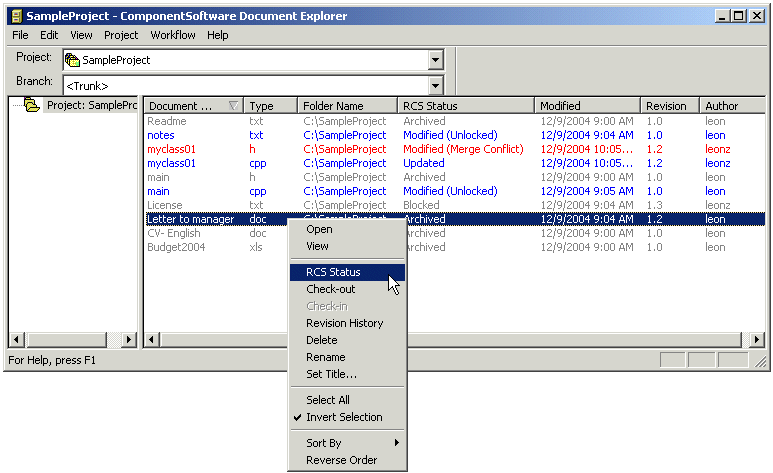 Main features of the CS-CVS client include integrated visual file comparison, powerful search features, support for milestones and change workflow, built-in support for MS-Word and MS-Excel documents, including tagging, detailed reports, integration with leading development environments and much more. Please note that the installation file for this application will download and install the desired package from ComponentSoftware.